Further Comments: A couple of witnesses reported hearing horses and fighting which moved through the village street and over a field. Further Comments: Wearing a long cape and wide brimmed hat, this Civil War soldier holds what appears to be a broken sword in his hands. One theory is that the man was a messenger caught and killed by Royalists. 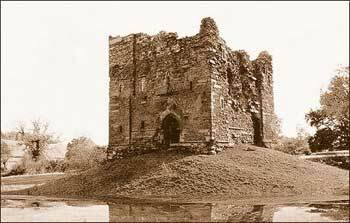 Further Comments: A total of five witnesses in two different places watched a battle over the skies of the castle, between the Highlander regiment and garrisoned French troops. This mirrored real events in America, where 300 Highlanders were killed assaulting a fort. Further Comments: A father and son returning from Glen Shira spotted hundreds of soldiers marching in their direction, accompanied by women and children. Fearing for his son's life, the father ducked behind a wall, dragging his child down as well. When they looked to see if they had been spotted a few seconds later, the entire army had vanished. Further Comments: For years after an ambush which left many RIC men dead, locals reported hearing the screams of wounded people in the area. Further Comments: Two people walking through this area heard the sound of a fight between a large group of men, though nothing could be seen. Further Comments: A Civil War battle site, the sounds of horses have been reported charging around the vicinity, though the creatures can not be seen. 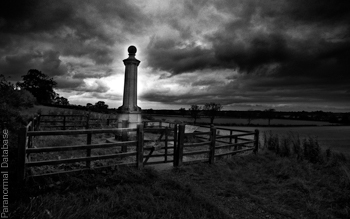 Old fashioned figures, two women and a man, are also said to haunt the area. Further Comments: This battle fought around the 1300's is still reportedly heard in May - over 3000 people are said to have been killed. The exact date may vary, though the phantom event always occurs in late May. Further Comments: Reported by a local girl, only the top part of this phantom soldier was visible. Further Comments: A guest at the inn spotted three men wearing colourful musketeer style military uniforms standing near the bar drinking from tankards. It was believed that she had witnessed phantom Civil War officers readying themselves for the siege that occurred in the town in 1644. Further Comments: One would have hoped that this Jacobite battle would have finished by now, but it is not the case. The occasional headless horseman is reported in the area. Image (c) Peter Crawley. Further Comments: Having lost his hand during the Battle of Edgehill, Edmund Verney now searches the house for the missing item. A grey lady also walks the building, named by some as Florence Nightingale, and phantom footsteps are also reported. Further Comments: Three children reported hearing the sounds of battle coming from outside the castle, and seeing a knight on horseback who charged at them. Inside the castle, muffled sixteenth century music has been heard, while there are persistent rumours of buried treasure somewhere in the grounds. 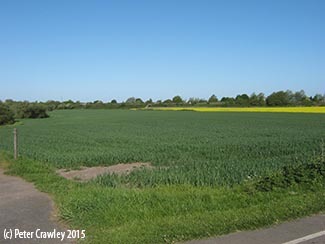 Further Comments: A phantom army is said to have appeared on the common land here, vanishing when approached. Further Comments: A local piece of folklore once said that whoever walked around the cross nine times before resting their head on the ground could hear the sounds of battle. Further Comments: Prince Rupert of the Rhine led the relief of Newark in 1644 - the town must have left an impression on him, as he appears to still haunt the building he rested at. Further Comments: The construction of the Newbury bypass disturbed a mass grave containing the remains of both Roundhead and Cavalier soldiers. The ghosts of these Civil War troops were reported soon after, manifesting as shadowy figures that vanished when approached. Further Comments: A phantom cavalier was spotted as he walked through the wall of a bedroom. The entity threw a cloak over his shoulder before disappearing. Further Comments: The witnesses here were in a taxi - the engine died without warning and they found themselves surrounded by phantom soldiers which faded away as they closed in on the car.